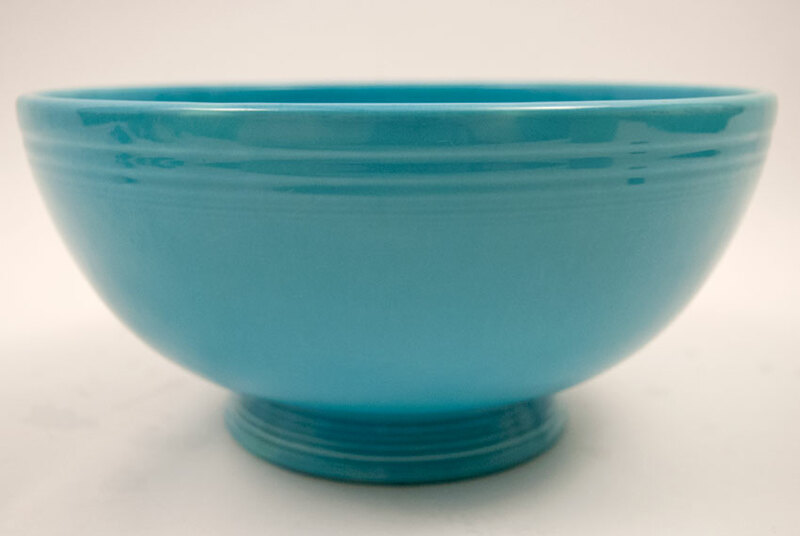 Circa 1937-1946: The Vintage Fiesta footed salad bowl was one of the original pieces released with the Fiesta pottery line in 1936 - ambitious from the start, the giant footed salad measures over 11" across the top. 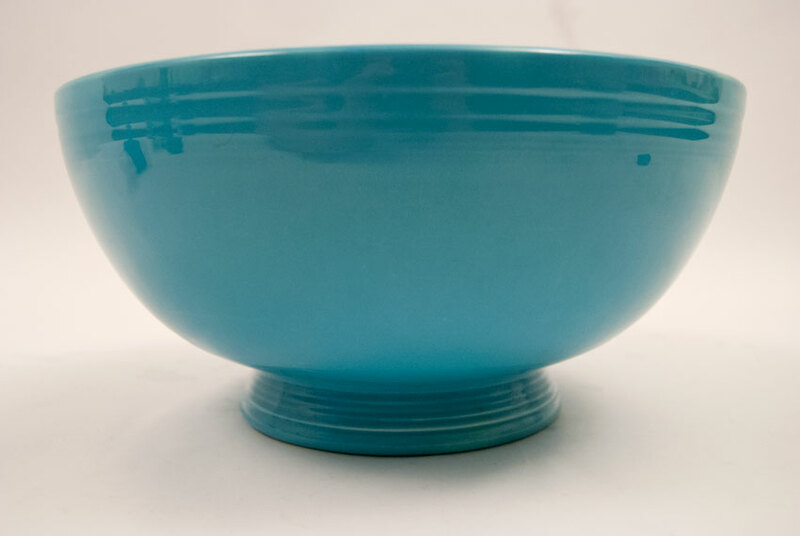 It is amazing to imagine these bowls being hand dipped in the original glazes and then put on a jiggering machine to etch in the concentric rings and mold the gently flared foot. 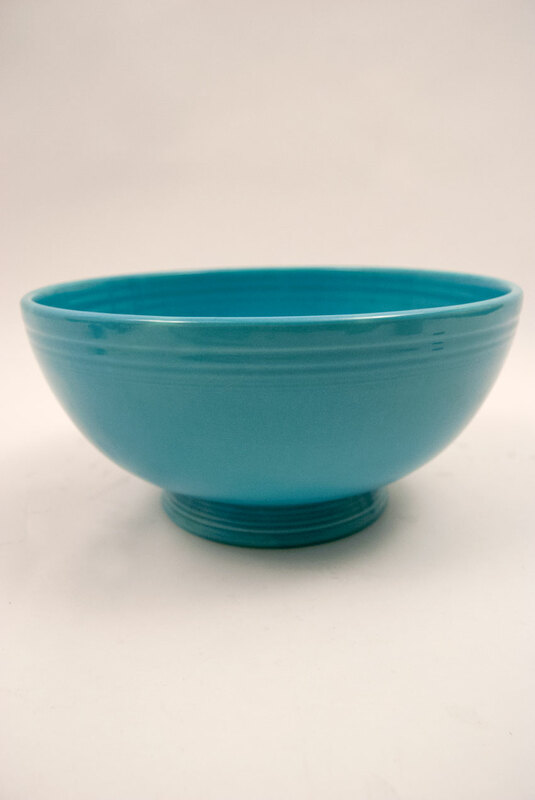 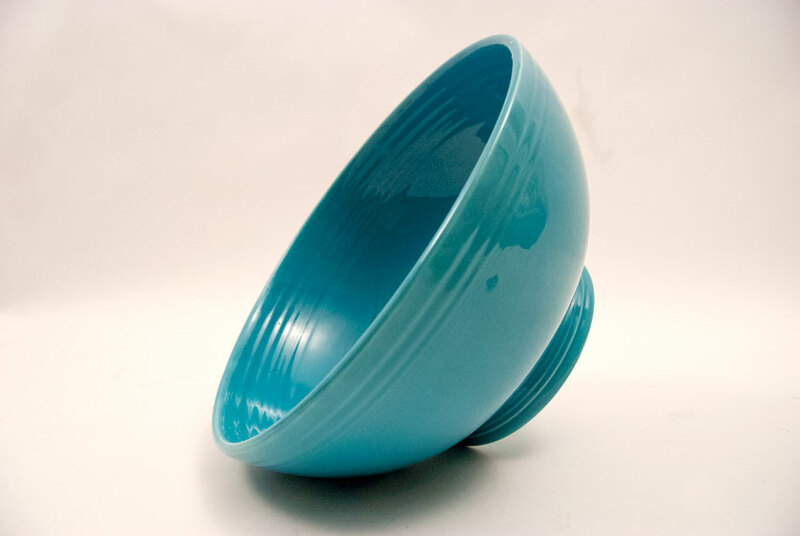 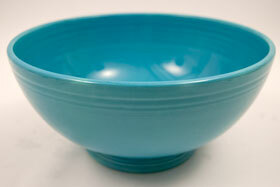 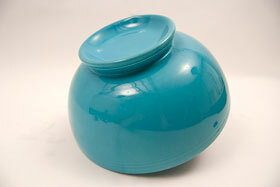 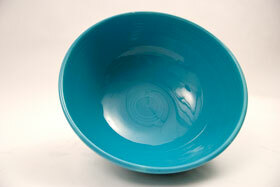 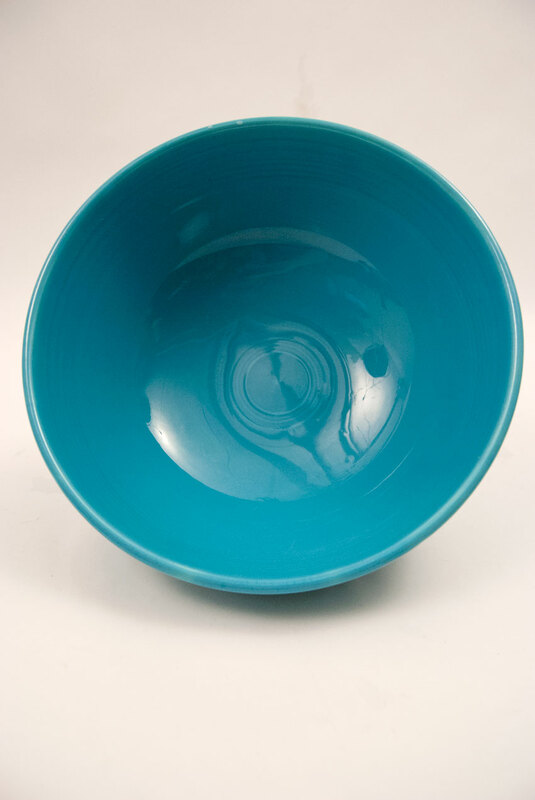 This example in the original fiesta turquoise glaze is in excellent condition.